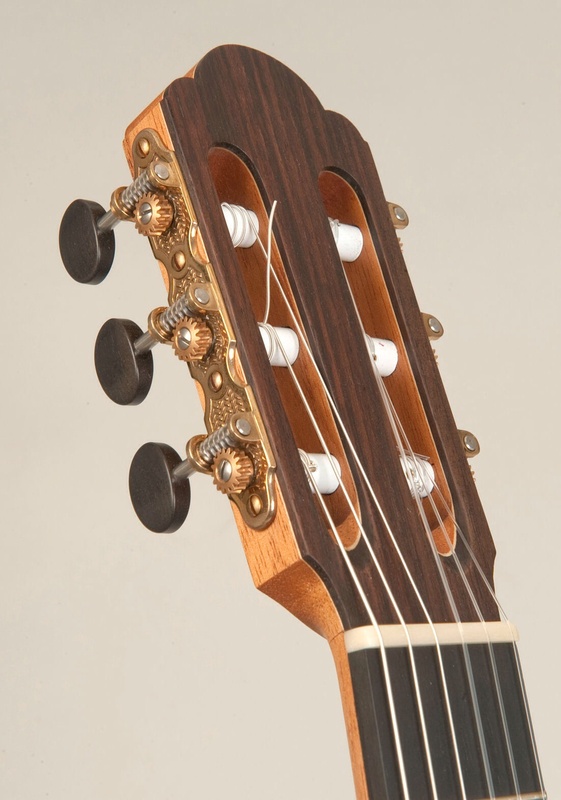 I make traditional fan braced classical guitars following the principles of Antonio Torres. 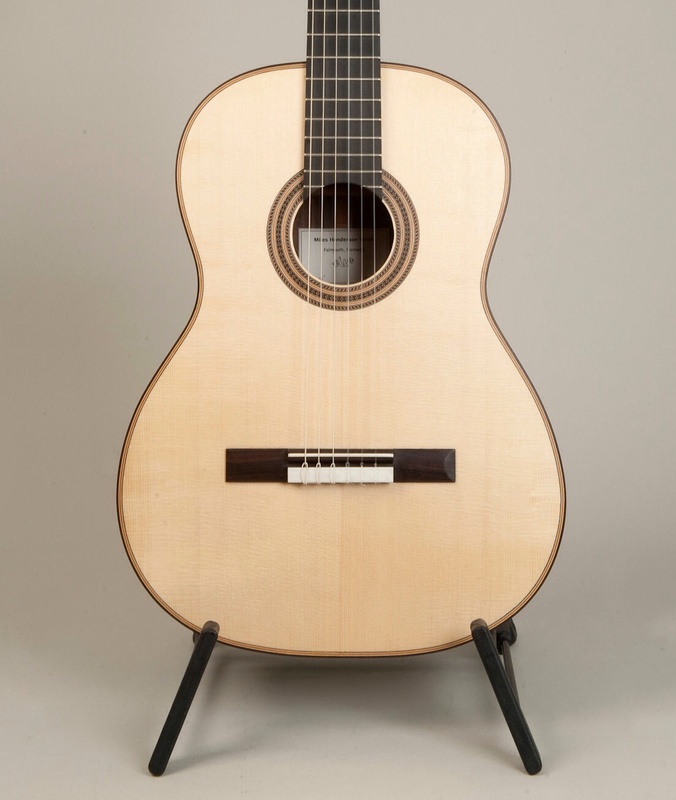 The body shape and overall design is based on plans of the famous 1937 Herman Hauser I guitar, as played by Andreas Segovia, which resides in the Metropolitan Museum of Art in New York. I use the highest quality materials that I am able to obtain. Generally I use a traditional combination of woods that include Indian rosewood for the back and sides, European spruce for the top, western red cedar for the neck and head, and ebony for the fret board. I use this combination as it gives me consistently good results. 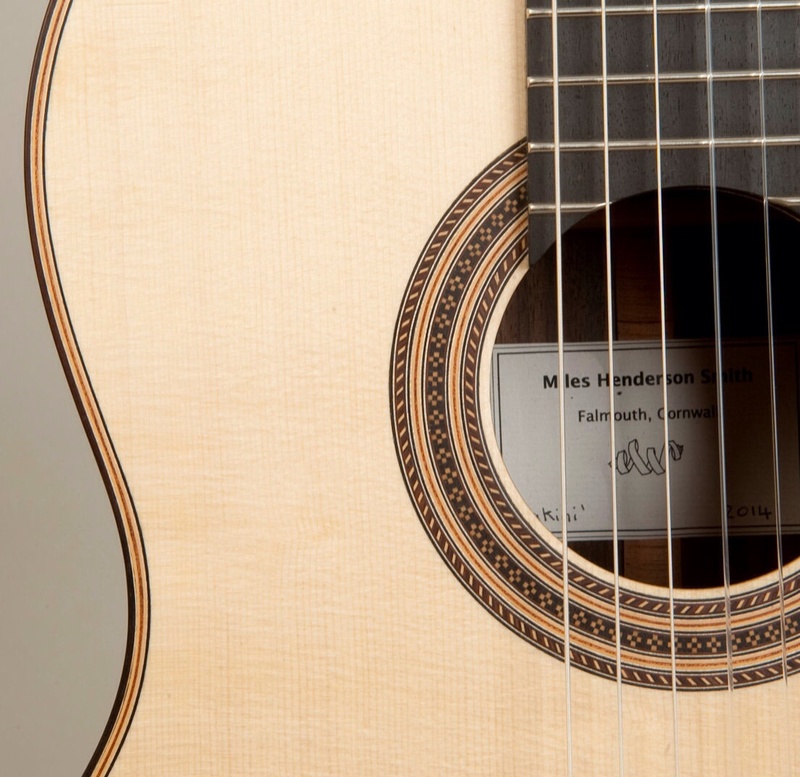 However there are many alternatives that could be used and also produce a beautiful guitar. Some of the characteristics I aim for in my instruments are: a clear, focused tone, uncluttered by too many overtones; to be as balanced as possible across the range, with rich velvety bases and rounded clear trebles; a clear separation between voices; to be as responsive as possible to a light touch, drawing the player in to the subtleties of the music, while offering the potential for power where necessary; to be capable of projecting sound with a wide dynamic range. See the specifications page for more information, measurements and options.